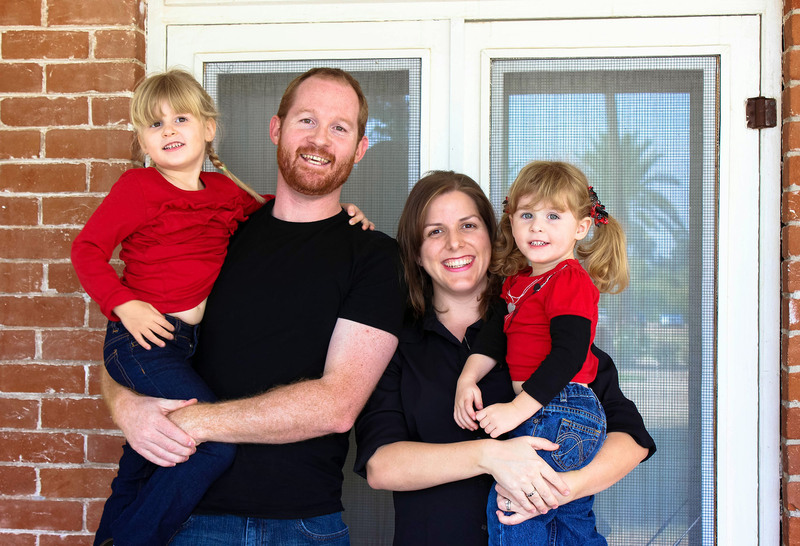 WASHINGTON – Not only does Phoenix resident Jeremy Dodd expect to be the first in his family to get a four-year college degree – he expects he’ll be able to do it in just 2.5 years. That’s because Dodd is enrolled in a Northern Arizona University program that lets students earn credit by passing tests to demonstrate what they already know, instead of how long they sat in a classroom. “It takes into account my real-world work experience from the last 10 years of my life,” said Dodd, 32, a father of two who is pursuing a degree in computer information sciences. He said he “couldn’t be happier” with the program. NAU is one of only a handful of accredited schools nationwide to offer a “competency-based” option to students, a program that school officials said has seen “spectacular results” since it was launched last summer. Other schools are reportedly looking at the model and Congress got in to the act this week, when the House gave unanimous approval to a competency-based education bill. That measure, sponsored by Rep. Matt Salmon, R-Mesa, calls for the Department of Education to authorize up to 30 pilot programs in competency-based education at colleges across the country. “We are overjoyed that Congress is finally taking into account the needs of students, and proud that we are already ahead of the game,” said Alison Brown, an NAU associate vice president for extended campuses, who is in charge of the Personalized Learning Program there. 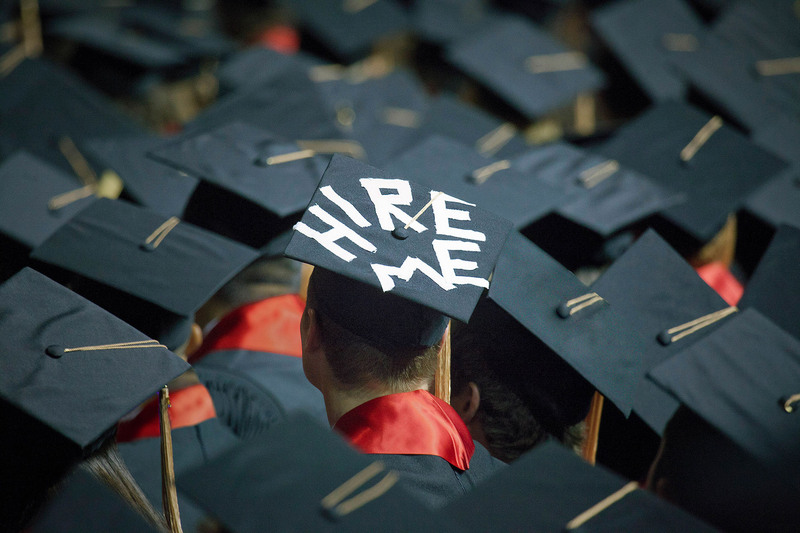 Supporters say competency-based education could speed the path to a degree for students, and save them money on their college educations, by demonstrating skills they may have obtained in the workplace or from life experience. Not everyone is sold on the plan. “There are certain things that can only be taught in a classroom, certain things you can only get out of a discussion led by a professor,” said Stanley Katz, professor in public and international affairs at Princeton University’s Woodrow Wilson School. “In certain situations, taking students out of the classroom and (putting them) online can significantly take away from their learning experience, despite what they may think they already know,” Katz said. But Brown said NAU has been very pleased with its program, as have the several hundred students – she could not immediately provide an exact number – who feel they are respected by the program. “They build on their experiences and feel that they are in an environment where they can continue to grow,” Brown said. Dodd, who works for Cox Communications in real life, said he appreciates the program’s flexibility and willingness to work with him as he works toward his degree. “My age is more of a need and NAU takes that into account,” he said. Under the program, students pay a flat $2,500 for a six-month “subscription” to classes at NAU. During that time they are free to take – and earn – as many credits as possible. Before each lesson, Brown said, students are tested on the material, and if they get an 86 or better are waived out of that lesson and can move forward to the next one. The program has gone well enough that officials at Rio Salado Community College say they are looking at NAU as a model for a competency-based program they are developing. “I think NAU has set a standard,” said Shannon McCarthy, the interim dean for instruction at Rio Salado. “Arizona has not always been on the forefront of innovative education and this proves that we are moving forward in supplying more students with quality education,” McCarthy said. She said her college supports the congressional bill, because it would make the “very rigorous process of establishing these programs easier,” as schools grapple not only with standards but also questions of financial aid for such programs. McCarthy said Rio Salado, which has been working with other community colleges in Maricopa County, hopes to have its own competency-based program running in the next few years. For Dodd, doing so just makes sense. 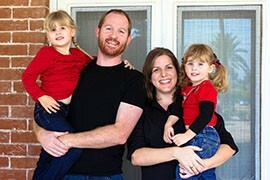 Jeremy Dodd with wife, Brittany, and daughters Lilly,5, and Emily 3. Dodd said a competency-based education program at Northern Arizona University lets him move quickly toward a degree despite the demands of a job and family. Supporters of competency-based education say it has the potential to let veterans, working students and others get a degree faster, keeping their student debt down in the process. 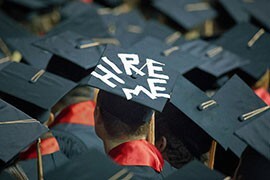 The House this week passed a bill calling for 30 pilot projects in competency-based education.